Plantains (heavily patterned with black on the outside). Peel and cut plantains about an inch thick on the diagonal creating long slices not round plugs. Bring your oil (about a 1/2 inch of oil in a frying pan) to a medium heat. 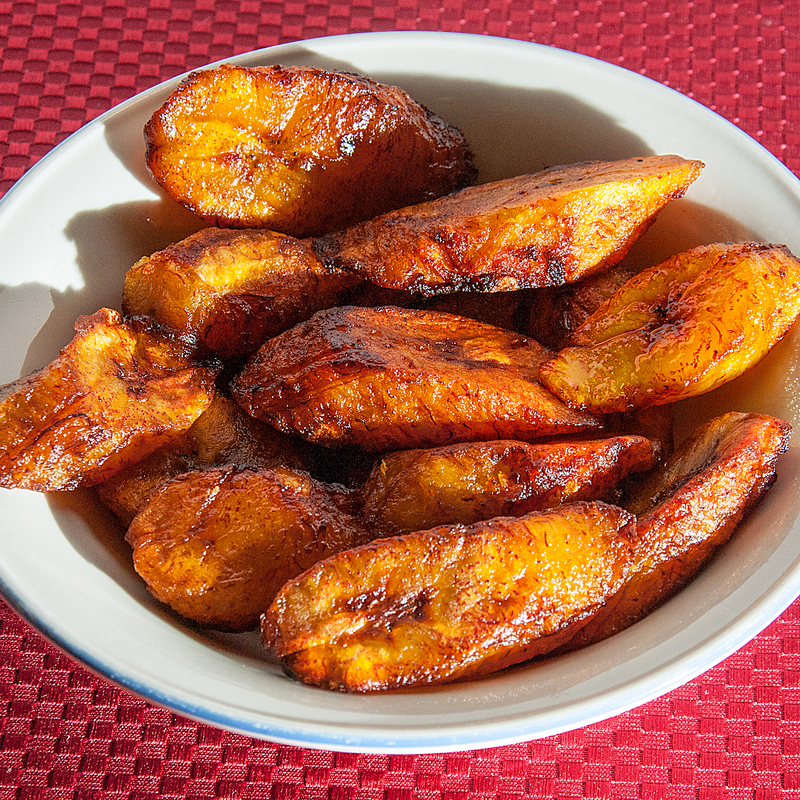 Place your plantains in the frying pan and fry for about 1 1/2 minutes on each side and reduce your heat to low. Continue to cook until just over golden brown. Heat oven to 325. Remove plantains and place them in an oven dish. Sprinkle lightly with sugar and pour in the rum. Cook for another 15 minutes. You can reduce heat to keep warm while preparing your main dish.